Chagatai Khan: Persecution of Pakistan's Christians & Misuse of Blasphemy Law. Persecution of Pakistan's Christians & Misuse of Blasphemy Law. 2011: ‘People who say blasphemy law is not debatable, mislead the nation’ * PUC chairman says those who issued edicts for Taseer’s murder are not muftis LAHORE: Pakistan Ulema Counsel Chairman Muhammad Tahir Mahmood Ashrafi condemned the murder of Punjab Governor Salmaan Taseer and said that those who issued edicts for the Punjab governor’s murder over blasphemy issues were not muftis, a private TV channel reported on Monday. 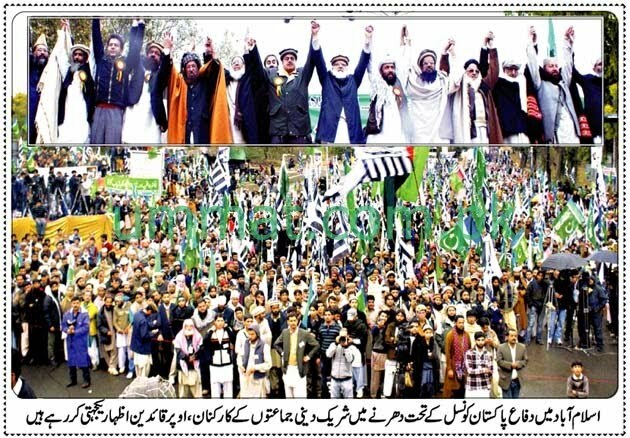 Alamdin Ashrafi said that Taseer was not Raj Pal and Qadri was not Ghazi Alamdin Shaheed. He said that Islam had bestowed more rights on minorities than Muslims in society. He urged that religion not be used for vested interests of politics. He said that Aasia Bibi and Qadri’s cases were in court and the court would give its verdicts regarding the cases and we should wait and respect the court’s verdicts. He said that Taseer’s matter was in God’s court now. Ashrafi said that Taseer had repeatedly said that only a fanatic could commit blasphemy, adding that the blasphemy law was amended twice during Nawaz Sharif’s regimes, adding that Taseer was killed for just talking about the law. He said that laws presented by Ziaul Haq, Nawaz Sharif or Asif Ali Zardari were debatable, adding that those who say that a debate on blasphemy law was not possible were misleading the nation. Ashrafi questioned as to how many people were sentenced under the law since it came into being in Pakistan? 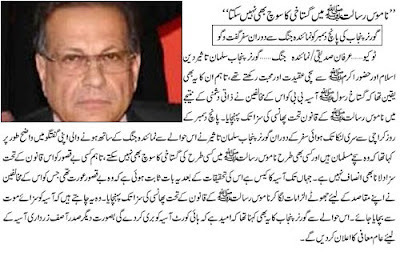 2011 Sentiments were exploited against Salmaan Taseer: Ashrafi * Pakistan Ulema Council chairman says whosoever declared it was justified to kill Taseer should come on media to prove his claim before nation LAHORE: Pakistan Ulema Council (PUC) Chairman Allama Tahir Ashrafi has admitted that late Punjab Governor Salmaan Taseer was right in his claims regarding the misuse of the blasphemy law against minorities and said that sentiments were exploited against him, a private TV channel reported on Saturday. Ashrafi maintained that there had been several statements of Taseer, in which he had condemned the blasphemy, adding that not only the late governor, but many Ulemas, the Pakistan Tehreek-e-Insaf (PTI) and Pakistan Muslim League-Quaid (PML-Q) leaders had also spoken in similar manner. He pointed out that none of them was a mufti, who decreed that Taseer had turned to be a non-believer, saying that it was the work of a mufti and Darul Iftaa to deliver such edicts. Jamiat Ulema-e-Islam-Fazl (JUI-F) chief Fazlur Rehman and Abul Khair Zubair, a few days back, maintained that no authentic mufti gave an edict of killing Taseer, the channel quoted Ashrafi as saying. 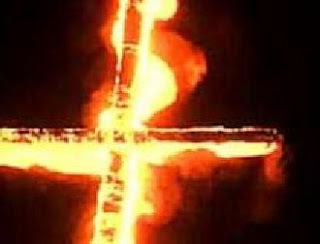 The PUC chairman questioned that why the blasphemy law was not implemented when on 12th Rabbiul Awwal of this Islamic year (in 2010), some 750 copies of the holy Quran and several books of Hadith and Tafseer were set on fire by unidentified people at late Allama Ziaul Haq Qasmi’s residence in Faisalabad and a footage of this incident was also present. “After the incident, Sunni Ittehad Council Chairman Sahibzada Fazal Karim sought registration of an FIR under 295-C against Zahid Qasmi, son of late Qasmi. Both the sides, sects ‘Deobandi’ and ‘Barelvi’, requested police seeking FIRs against each other, but the issue was resolved later,” he recalled and questioned why such a settlement was not counted as blasphemy or profanity, the channel reported. Ashrafi also questioned that the case of Aasia Bibi was in court and “if the high court releases her”, the clerics would, then, accept this decision or not. Adding to the same point, he said, “If the clerics accepts her release by the high court, then who would be responsible for Salmaan Taseer’s blood.” He strongly criticised those who had been providing safety to the murdered the governor, the channel said. Ashrafi further said, “If an accused says that he/she has not committed blasphemy, even Ulema-e-Ahnaf have the capacity to acquit him/her.” Salmaan’s matter was political, he added. He questioned why this matter gained attention when Fazlur Rehman quitted the coalition. He also said that Mazhar Saeed Kazmi, brother of former religious minister Hamid Saeed Kazmi, was now saying that it was not appropriate to offer the funeral prayers of Salmaan Taseer. “This is so unfortunate. Why Kazmi did not talk such thing when he was enjoying the ministry of religious affairs,” he added. Neither Salmaan Taseer was Rajpal nor Mumtaz Qadri was Ghazi Ilm Din Shaheed, the PUC chairman said and claimed that even the most impious person could not dare to commit blasphemy. Salmaan’s statement was on record and he could not even imagine doing so, he maintained. He recalled that Taseer’s father MD Taseer was the person who provided a death-bed to Ghazi Ilm Din Shaheed and Syed Ataullah Shah Bukhari called Taseer’s mother his sister. He said that the governor could be a bold person, offensive to a maulvi but he could not be a blasphemer. Ashrafi said that the one who declared that it was justified to kill Salmaan Taseer should come on media and prove it in front of the nation. Senior Analyst Syed Mumtaz Shah, who also participated in the TV programme, said that, in 1981, there was a baton-carrying mob, in which two parties were raising different voices on Naara e Risaalat and were harming each other. One was saying Ya Rasool Allah and the other was saying Muhammad-ur Rasool Allah, he said, adding that cases were filed against each other. Renowned Journalist Abbas Athar said that Barelvi ulemas banned offering Salmaan’s funeral prayers, adding that they had also remarked on the funerals of Lal Mosque’s girls that they were against the state. He questioned that did Mumtaz Qadri, being on duty, showed his loyalty with the state by shooting the governor. He asked that why not his treachery be highlighted. He also said that the biggest problem in the blasphemy law was that “when anyone gets blamed for committing blasphemy then it suddenly becomes a mob’s law”. He said that whenever it would be exposed there would be money behind the assassin and conspiracy too, adding that Mumtaz Qadri was not alone in it. Barelvi Shah Turab ul Haq Qadri says Ashraf Ali Thanvi & Wahabis are Kaafir. 2011: Qadri is a murderer, not a hero: Ashrafi * LAHORE: Pakistan Ulema Council Chairman Allama Tahir Ashrafi condemned the attitude of the Jamiat Ulema-e-Islam-Fazl (JUI-F), saying that the party was playing politics in the name of religion, adding that Mumtaz Qadri was a murderer not a hero, a private TV channel reported on Friday. Speaking in a private TV channel programme, Ahrafi asked what JUI-F member Ismael Buleedi did when Pakistan People’s Party (PPP) leader Sherry Rehman presented the blasphemy law bill in parliament. He said he heard Prime Minister Yousuf Raza Gilani saying on the floor of National Assembly that the blasphemy law would not be amended. He said that the JUI-F regarded the PM and the PPP-led government as favourable up until the point that Azam Swati got sacked, adding that the blasphemy law issue was raised prior to Swati’s dismissal. He said the blasphemy law was a sacred law because no one could question on the holy Prophet (PBUH)’s sayings. He raised a question as to why the JUI-F demanded to bring the blasphemy law in the Council of Islamic Ideology (CII), after terming it a ‘sacred law’? He asked if the members of the Council of Islamic Ideology were angels? He further questioned that if the council would term its point of view on any issue as Shariat and parliament or the Senate would turn it down, would it be the rejection of Shariat by parliament, the channel said. In the programme, he presented an edict, collectively given by all schools of thoughts, according to which if any person would go against Shariat incidentally, then only the ruler would be the authorised person to punish him. He said that supporting Mumtaz Qadri or terming him a hero was not the right thing to do. He critically said that he was not the one delivering honour to slain Punjab Governor Salmaan Taseer’s assassin, while addressing thousands in a gathering in Karachi. He was of the view that if the late Punjab governor was not justified in visiting Aasia Bibi in jail, then what Qadri did was also not an appreciable act. He said that when Sufi Muhammad said he did not obey the court and the rule of the country, he faced army action, adding that when the Taliban say that lashing women publicly is in accordance with Shariat, we term them as brutes. He said that when someone commits a crime in Islamabad, then the attitude of the leading processions are in his favour and distributing sweets creates conflict. He asked that if the blasphemy law was from God, then why was the Council of Islamic Ideology amending it. He criticised the council by saying that none of its proposals were ever implemented. He said the nation had not even reached a consensus on the authority to issue an edict, the channel reported. Barelvi Shah Turabul Haq Issues Fatwa of Kufr against Imam Kaaba & Saudi Arabia. 2011: It is evident to everyone except the ruling Pakistan Peoples Party that it abandoned Salmaan Taseer, governor of the Punjab, and Sherry Rehman, another voice of conscience. Taseer was assassinated in Islamabad on Jan. 4; and Rehman’s life is in danger. Taseer was a brash, honest man with little patience for hypocrisy. After he took up the cause of Aasia Noreen, a Christian woman convicted of blasphemy, his views were wrongly and viciously misrepresented, including by some media organizations, leading to an environment of eliminatistic hostility being created against him. He never spoke against Islam. He never blasphemed. The day Taseer was buried, Chaudhry Shujaat Hussain, a former prime minister and conservative, took the same position on the laws as Taseer, Rehman, members of the Awami National Party, and cricketer-turned-politician Imran Khan: the laws must not be misused to victimize Muslims and minorities. Scared, the “party of martyrs” declared it would not allow any amendments to the laws even after another one of its leaders joined the ranks of the martyred. Prime Minister Yousaf Raza Gilani reiterated this position at his press conference on Jan. 9 in Islamabad, the same day that at least 20,000 mullahs congregated in Karachi to condone Taseer’s murder and incite Rehman’s. 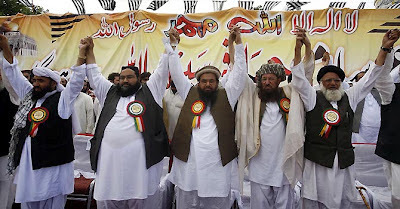 Gilani also said he would welcome Maulana Fazlur Rehman, who spoke at the Karachi rally, back into the coalition fold. This is not Benazir Bhutto’s party. What’s worse is that the PPP had no qualms in exploiting Taseer’s death by calling it a political murder and claiming it highlighted the failure, if not complicity, of the provincial government. It was not. But if it were, it was surely one in which the cowardly abandonment of a comrade did not help. Interior minister Rehman Malik alleged the assassination was part of a ploy to stoke “sectarian differences.” Trying to prove his credentials, he had earlier claimed that he, too, would shoot any blasphemer. And President Asif Ali Zardari informed his MPs that the party would investigate to determine whether the assassination was a conspiracy against the government under the smokescreen of religion. Despite Mumtaz Qadri having confessed to Taseer’s murder, the PPP appears unwilling to accept the religious connotations of this crime. Qadri has said he acted alone.